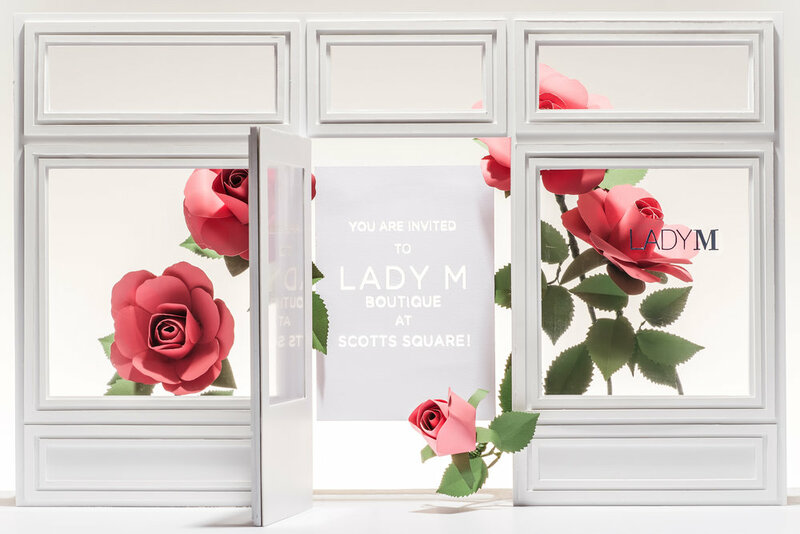 We worked with Lady M from conceptualisation to execution for their two new boutique launches. The entire campaign included several photos and stop motion videos, invitation design and door gifts for the media event. We also decorated the interior of each boutique from table centrepieces to oral art displays. The Ektory team also appeared at the event launches doing live demonstrations of paper ower making, as well as designed a oral art display lled with paper owers inspired by each boutique’s signature cake.